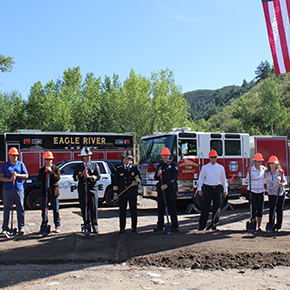 The Town of Avon and Eagle River Fire Protection District (ERFPD) hosted a groundbreaking ceremony the new Joint Public Safety Facility yesterday. Scott Nevin, Principal-In-Charge, and Will Bussard, Project Architect, from Davis Partnership Architects attended. 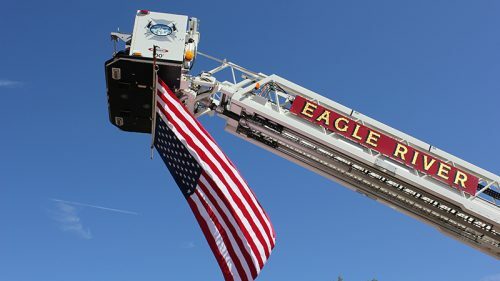 The 24,000 sf facility and structured parking will house a regional fire station for the ERFPD and police station for the Town of Avon. Denver based Davis Partnership Architects are designing the project and Avon local, Evans Chaffee Construction, is the general contractor.